Scores 25 Highway MPG and 18 City MPG! This GMC Canyon delivers a Gas V6 3.6L/222 engine powering this Automatic transmission. TRANSMISSION, 8-SPEED AUTOMATIC, TRAILERING PACKAGE includes trailer hitch and 7-pin connector, SLE CONVENIENCE PACKAGE includes (C68) single-zone automatic climate control, (A28) rear-sliding window and (BTV) remote vehicle starter system. 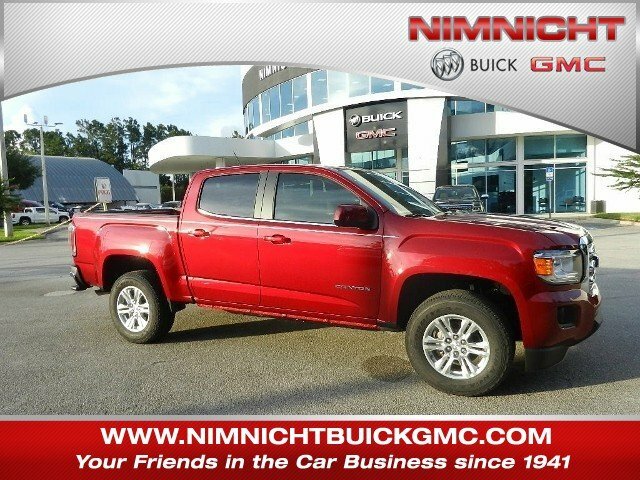 *This GMC Canyon Comes Equipped with These Options *DRIVER ALERT PACKAGE includes (UEU) Forward Collision Alert and (UFL) Lane Departure Warning , ENGINE, 3.6L DI DOHC V6 VVT (308 hp [230.0 kW] @ 6800 rpm, 275 lb-ft of torque [373 N-m] @ 4000 rpm), DIFFERENTIAL, AUTOMATIC LOCKING REAR, Windows, power with driver Express-Up and Down, Wheels, 17 x 8 (43.2 cm x 20.3 cm) Bright Silver cast aluminum, Wheel, compact spare, 18 x 4.5 (45.7 cm x 11.4 cm) Black cast aluminum (Standard with (LCV) 2.5L I4 engine. Not included on Crew Cab Long Box models. ), Visors, driver and front passenger illuminated sliding vanity mirrors, USB data ports, 2 includes auxiliary input jack, located on the front console (Not available with (IOT) 8 diagonal Premium GMC Infotainment System with Navigation. ), USB charging-only ports, 2, located on the rear of the center console, Transmission, 6-speed automatic (Included with (LCV) 2.5L I4 engine or (LWN) 2.8L Duramax Turbo-Diesel engine.). * Visit Us Today *Treat yourself- stop by Nimnicht Buick GMC located at 11503 Philips Hwy, Jacksonville, FL 32256 to make this car yours today!